In 1576, a devastating plague killed 50,000 people in Venice, taking even the city's best known painter, Titian. In desperation, Doge Alvise I Mocenigo vowed to build a magnificent church if the city were delivered from the plague, and to visit it every year in a service of thanksgiving. A wooden church was constructed on the Giudecca for the event until the final result, Il Redentore, one of Palladio's finest churches, was consecrated in 1592. Today the Festa del Redentore (third weekend in July) is the most popular event on the Venetian calendar. 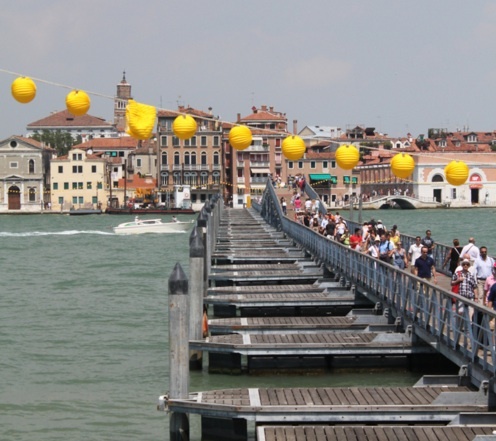 An impressive 330m-long pontoon bridge is constructed by Saturday evening, linking the Giudecca to the Zattere. The first one was built for the Doge Sebastian Venier in 1577, and they've been doing it every year since. As it cools off the Venetians take to boats bedecked with lanterns, mooring them together in St Mark's Basin for a feast and party on the water. At 11.30pm, the basin erupts in a spectacular blaze of fireworks that lasts until after midnight, although it's hardly the end of the party; many still keep up the old tradition of sailing to the Lido to watch the sunrise. On Sunday, the religious procession, led by the Patriarch of Venice, crosses the pontoon bridge for the church service at 7pm. And on Monday, the bridge is dismantled for another year.